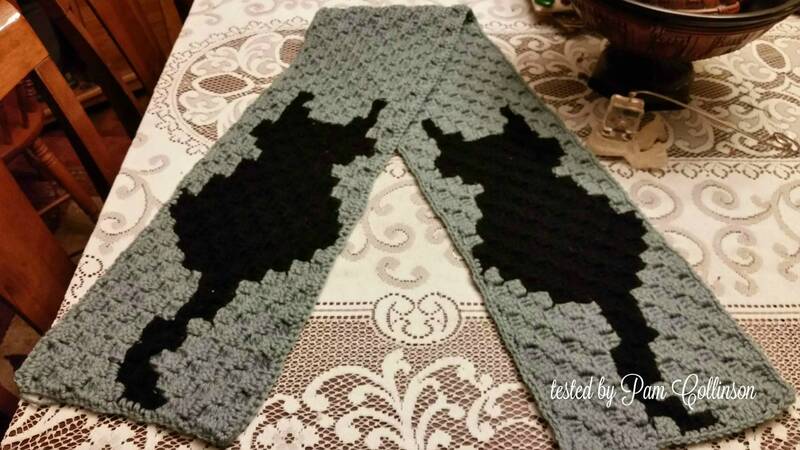 This cute cat scarf will keep you warm outside when your own kitty can’t! Looks great in a variety of colors. Using orange and black it would be a great Halloween Scarf.